Web services "describes a standardized way of integrating Web-based applications using the XML, SOAP, Web Services Description Language (WSDL) and UDDI open standards over an Internet protocol backbone." The description of a web service can be found in a file which describes how the service can be called, expected parameters, and what it returns. As an example I will be using WebGoat which is a vulnerable application I set up locally. 2. Create a SOAP request of your desired operation (get person's name, credit card, etc.) using WebScarab or soapUI. I will show how to use either one. 3. Now that we have the request open up a web proxy which can automate attacks such as Burp or ZAP and intercept the ?wsdl request. Replace the GET with POST and paste EITHER request in the body area. If you get an error back you may need to modify the header. For example, if you get "no SOAPAction header!" add "SOAPAction: " in the header. 5. Find the item you are requesting and which parameter it takes. soapUI will put a question mark '?' where this is, while webscarab will have whatever value was originally entered to get the request. Mark this as the only payload position. 6. Choose your payload set based on the type of data you are requesting. In this example I am requesting a first name based on an ID I send, so I am using intruder to send numbers 1-200 to see if any of those IDs are valid and return a first name. 7. Look at the Intruder results and find any outliers which usually indicate a good response or at least something which will give more information to work off of. In this example we see 3 valid responses, so the IDs 101, 102, and 103 correlate to a specific database entry. Now that we have successfully communicated the same thing can be done for other operations to collect as much data as possible. The next step is to do some fuzzing to look for injection or other attack vectors. This example shows sql injection being performed. x.x.x.x is the address of the FTP server, and ~/local-mount-folder is a folder YOU create on your local file system, this is where you will access the FTP server. If you get an ERROR such as "bad mount point : permission denied" try running the command as root. At this point I can check permissions but what I really want to know is if I have write access in any directory. Additionally I have seen cases where an anonymous ftp server said I had write access everywhere but would deny any write attempts. 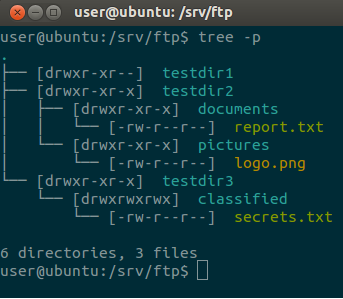 This uses 'ls -R' which gives a recursive listing of all subdirectories and contents, and so on. 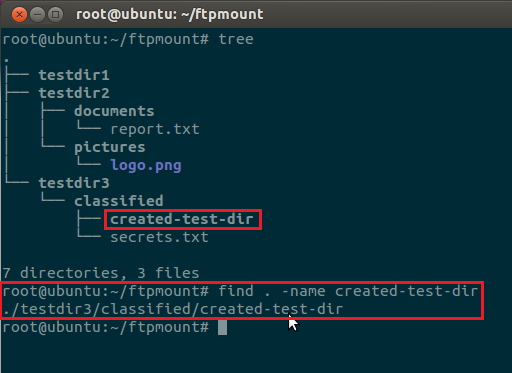 You will probably see output similar to "mkdir: cannot create directory './ftpmount/created-test-dir': Operation not permitted." This is ok because we know it is attempting to write to the ftp server. With a large ftp server this may take a while but much better than manually checking permissions. This will find any directories we may have created and also give you a list of where you have write access! This sort of thing can be very helpful during a penetration test.